efficient and reliable software support. Based in BGL HQ (Brighton East, Victoria), our tertiary-qualified support staff are professionally trained to deliver efficient and reliable software support. Service delivery is managed by the BGL Support Manager and Team Leaders. Our software support system is powered by Zendesk – a cloud based customer service software used by 200k+ organisations worldwide. Plus, once your ticket is submitted, Zendesk’s Answer Bot will use artificial intelligence to suggest relevant help articles based on your specific query! * Not applicable to Simple Fund 360 Trustee Edition and Simple Fund Desktop Trustee Edition subscriptions. How do you submit a support ticket? If you need help with your BGL software, submit a Support Ticket with us and our team will endeavor to respond to your enquiry as soon as possible. If you know your BGL Client Centre username and password, simply login to the and follow the prompts to submit a support ticket. 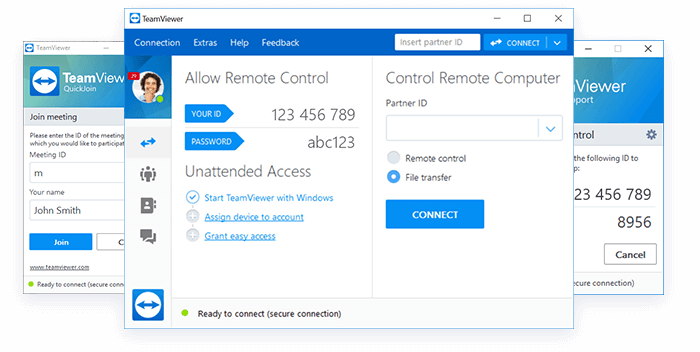 TeamViewer is a secure remote desktop access and support software that gives the BGL Support Team the ability to remotely access your PC or Mac (with your strict permission) to help resolve critical issues.